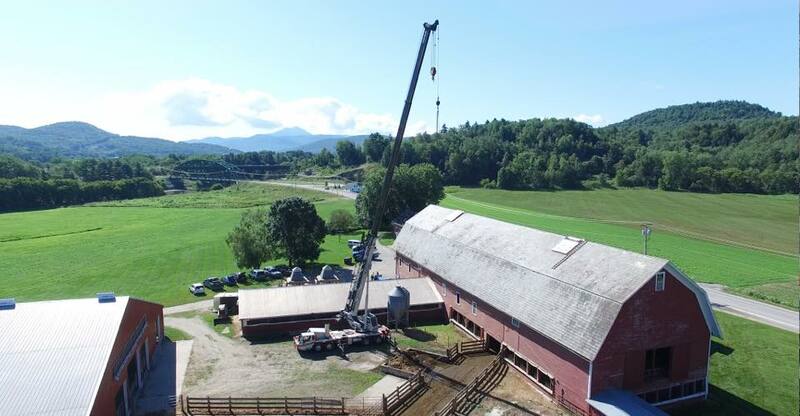 It's been more than a century since Leverette and Myrtle Conant built the big red barn here at Riverside Farms, and last week we began the important work of ensuring the barn remains intact for the next 100 years. This big, old barn is frankly quite impractical, compared to the new, modern barns being built today, but it means so much to our family and the community and we are determined to preserve it for future generations. 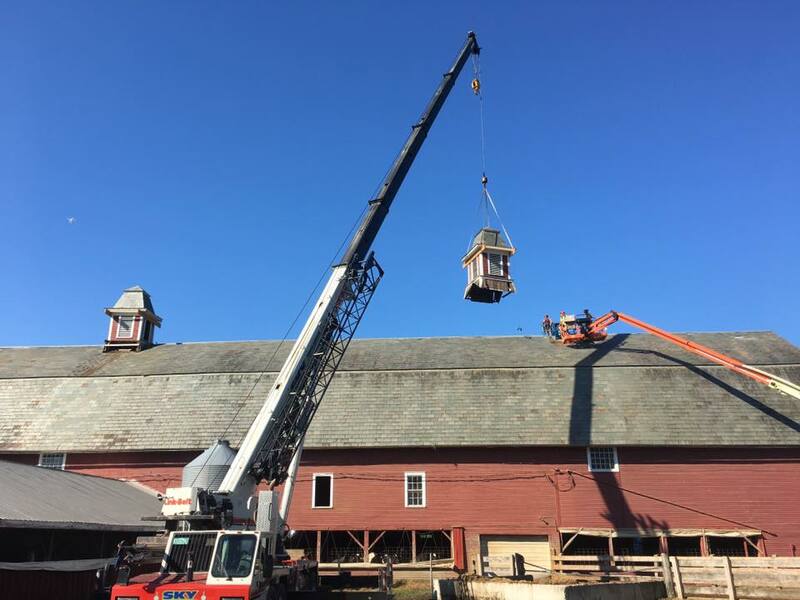 The first step in what will certainly be a very long process is to remove and restore the cupolas, which are in disrepair and need immediate attention. 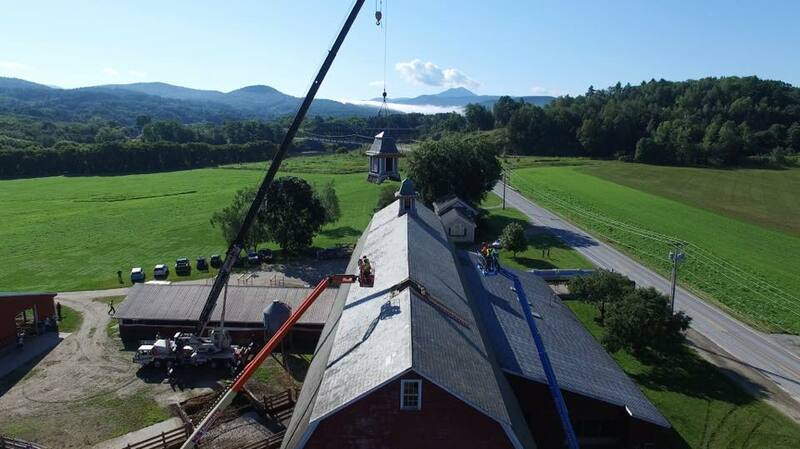 We are very grateful to have received a $15,000 grant from the State of Vermont Department of Historic Preservation to subsidize the cupola project, which we will match and supplement with our own funding. We are fortunate to have Eliot Lothrop and his team at Building Heritage managing this project - they are craftsman and experts and care deeply about the heritage and history of these old buildings. Here is a time lapse video Building Heritage made, documenting the cupola removal. I have to admit it looks a little barren up there with the cupolas on top of the barn. The will be restored and returned to their rightful place, keeping watch over the valley, this fall.